If you want to say goodbye to unwanted documents and materials with confidence and peace of mind, call Jake's Moving and Storage. If you’re interested in professional and reliable shredding services, Jake’s Moving and Storage can accommodate all of your needs. We’re a family-run business based in Potomac, Maryland and we are fully licensed, bonded and insured. Customers have trusted us with all of their moving and storage needs for years. Now, you can turn to us for respected shredding services as well. We specialize in both offsite shredding and onsite shredding and we proudly cater to the needs of people located in Washington, D.C., Maryland and Virginia. When you need shred work that’s responsive, secure and dependable, our crew will never disappoint you. Our top-notch service is invaluable for several major reasons. First and foremost, garbage stealing is legal. That means that documents you dispose of can potentially be retrieved legally. 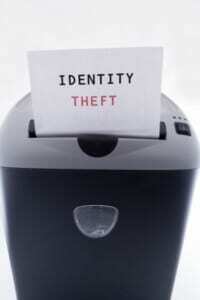 This increases your risk of falling victim to identity theft. Additionally, shredding is good for the environment and our services are eco-friendly. If you want to help maintain a beautiful, clean and safe planet, shredding can go a long way. Also, our confidential shredding service can be terrific for businesses that possess paperwork containing personal or sensitive details about employees or clients. If you work for a business that has this type of information, the law requires that you dispose of such documents properly. Lastly, our services can be beneficial for those wanting to get rid of undesired media. Examples include cassette tapes, DVDs and CDs. If you want to get rid of electronics or media that no longer serve any purpose to you, we are here to help. We will eliminate clutter, making your home or business look and feel like new. Our company specializes in bulk shredding as well. That means that there is no job too big when it comes to getting rid of your unwanted documents and materials. If you want to get rid of many documents all at the same time, we can assist you. Bulk shredding can come in handy for many businesses. If your business is going to be changing locations soon, it can help significantly to get a fresh new start by getting rid of old papers. Who wants to bring a lot of clutter to a new office, anyway? If you want to streamline your business and make things tidier and more efficient, our shred work can be extremely helpful. When it comes to heavy duty shredding, our local business is the greatest and most effective choice in the area. Our company routinely shreds documents for a vast range of businesses. These clients are often government agencies, accounting agencies, financial firms, title companies, healthcare providers and law firms. We frequently work with many other types of companies as well. If you work for a business that is searching for confidential and reputable paper shred assistance, Jake’s Moving and Storage could be the perfect answer. Our services are also wonderfully affordable. If you want to do away with documents but at the same time don’t want to have to think about high rates, our company can give you peace of mind. If you’re interested in shredding services, Maryland, DC and Virginia residents and businesses can count on Jake’s Moving and Storage. Our staff members are efficient, honest and capable professionals who care about customer confidentiality and satisfaction. We will go out of our way to help our customers feel happy and at ease. If you want to say goodbye to unnecessary documents with confidence and peace of mind, Jake’s Moving and Storage can help you do so. Shredding Services https://jakesmoving.com/shredding-services/ 4.0/5 based upon 22 reviews.